Airguns / BB guns / pellet guns are NOT designed to shoot at human targets. Umarex USA, Inc. began with the Umarex Group's acquisition of RUAG Ammotec USA (Dynamit Nobel), North American marketers of the famous RWS brand of premium adult airguns. Later named Umarex USA and combined with the world class products from German based Umarex, the parent company of Walther Firearms, Umarex USA has quickly become one of the premier providers of airguns and airgun accessories to North America. 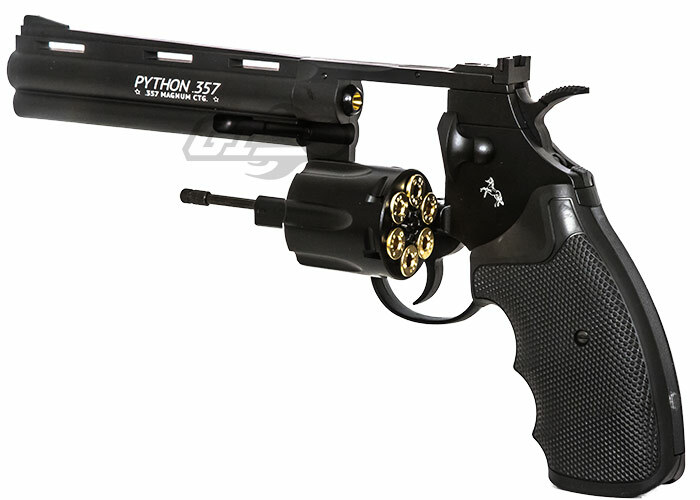 Umarex USA presents a very realistic .177 steel BB revolver-style pistol in the Colt Python! 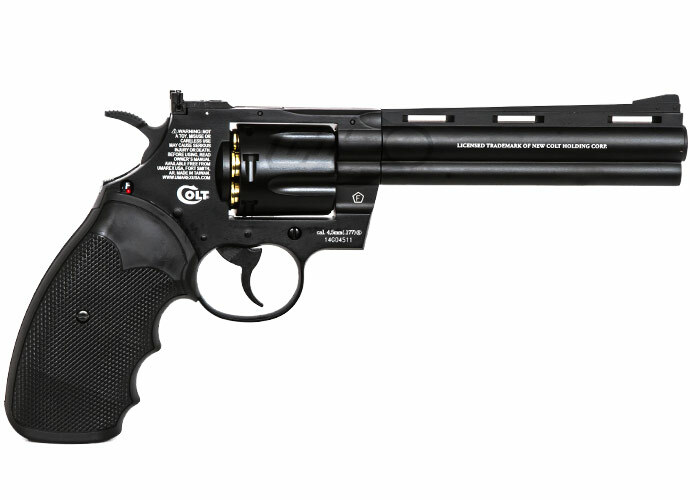 This CO2 BB revolver has a 5.5" barrel and textured grips with the Colt logo. 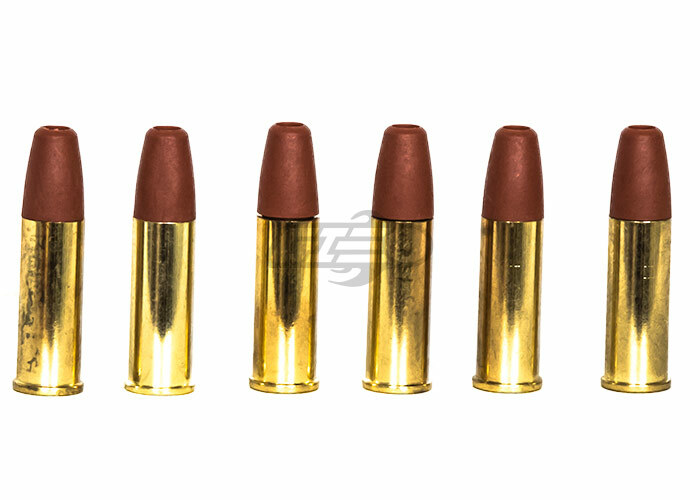 The all-metal airgun is great to maintain firearm proficiency without the cost or inconvenience of going to a range and the high cost of expensive firearm ammo. 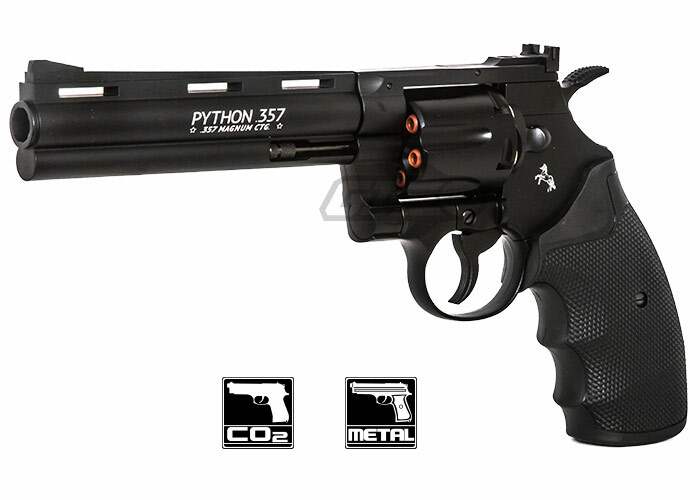 Features include; an adjustable rear sight, manual safety, and the CO2 capsule is housed in the grip. 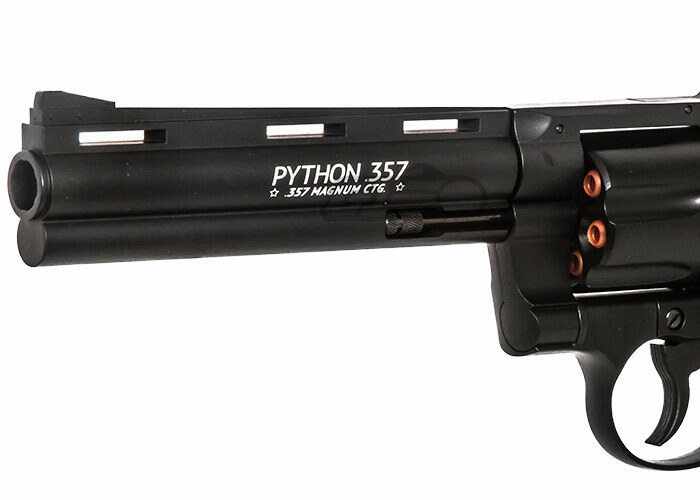 The realism continues when its swing out cylinder is loaded with 6 removable cartridges and is easily reloaded with the included speedloader. When the cylinder is empty, push out the shells with the cartridge ejector rod. 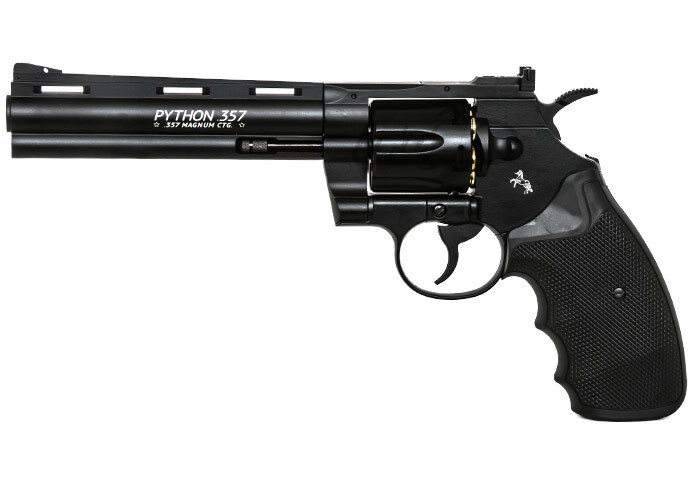 At 400 fps, the Colt Python by Umarex USA is a great plinking gun or even a great target shooting pistol!